Below is our guide to "How Meal Plans Work" at Bloomsburg University. Here you will find details on the options you have available to you for dining on campus. You can also visit the Dining Services website for up-to-date menus and information. Bloomsburg University has partnered with "ARAMARK" services to provide the dining services on campus. On campus sales volume exceeds $10 million annually. Residence Hall students are required to have a meal plan. All plans include $250 or $300 in FLEX, except in summer. There are four "Traditional" and three "Block" plans available each fall and spring semester. The traditional meal plans offer 19, 14, 10, or 5 meals per week. The block meal plans offer 275, 175 or 75 meals per semester. All meal plans come with your choice of $250 or $300 FLEX (explained below) and "Guest meals." Meal plan reductions or cancellations are permitted during the first week of the fall and spring semesters only. Students may opt to increase a weekly meal plan at anytime. All meal plans renew themselves between the fall and spring semester unless modifications are made prior to the end of the first week of the spring semester. Meal plans are billed on a semester basis. There are no adjustments made in price or meals as a result of the University closing for planned or un-planned events. Students may eat three meals out of the four meal zones offered Monday through Friday (two out of the three zones offered Saturday and Sunday): breakfast, (brunch), lunch, dinner and late night, daily up to the number of meals available based on the meal plan chosen. Students living in lower campus residence halls must opt for a 19, 14 or 10 (275 or 175 Block, explained below) meal plan only. Meal plans reset each Monday for Breakfast and run through late night on Sunday. All traditional meal plans include Cash Equivalency and Meal Exchanges in the Husky Lounge, Italian Kitchen and Monty's. Meals not consumed during the week do not carry over to the next week. Each traditional meal plan has ten (10) guest meals per semester associated with it. They can be used to redeem a meal, from the plans available balance, at any food service location that offers all-you-care to eat or Cash Equivalency for a friend or relative. Block meal plans can be redeemed throughout each fall and spring academic semester. Students can redeem meals at the pace they set with minor restrictions. 175 and 75 Block plans offer the ability to redeem one meal per zone for every zone offered each day. The 275 Block allows unlimited access to all facilities that offer all-you-care to eat or Cash Equivalency with the reduction of one "meal" from the meal plan balance for each entry/order. All block meal plans include Cash Equivalency and Meal Exchanges in the Husky Lounge, Italian Kitchen and Monty's. Each Block meal plan has five (5) guest meals per semester associated with it. They can be used to redeem a meal, from the plans available balance, at any food service location that offers all-you-care to eat or Cash Equivalency for a friend or relative. There is no reimbursement for any unused meals left over at the end of the semester. Is an enhancement to meal plans that provides students with ability to use their meal plan in locations other than the Scranton Commons. However, it was not designed to replace the main dining program offered in the Scranton Commons. Cash Equivalency is a cash amount that is credited towards the purchase of food items in the Husky Lounge, Italian Kitchen, and Monty's. A "meal" is deducted from a student's meal plan balance and a cash equivalent value is applied toward the total cost of items purchased. Any outstanding balance can be paid for with FLEX, Husky Gold, cash, or credit card (VISA and Master Card only). The average outstanding balance of items above the Cash Equivalency is less than $1 per order. Each of the three facilities mentioned that have Cash Equivalency also offer "Meal Exchange" which are full meals that only require the redemption of one meal from a student's meal plan balance. There is no reimbursement or crediting of any cash equivalent amount that is in excess of the item(s) purchased. The cash equivalency rate for 2018 - 2019 for all zones is $5.40. Each meal plan comes with either $250 or $300 in flexible dollars. FLEX was added to meal plans to provide flexibility much like the Cash Equivalency. FLEX can be used in many ways, for example: supplementing a meal beyond the Cash Equivalency rate, a snack anytime during the day, a pizza in the evening, a catered event with friends or maybe an after dinner flavored coffee. It can be used for a special food items offered at any of the campus dining facilities, or to purchase a gift basket or birthday cake for someone special. The FLEX-ibility is yours. FLEX dollars can be added to your account in any increment above $25, by going to Myhousing at http://housingweb.bloomu.edu. Off campus or upper campus students can opt to have a FLEX-only plan. A FLEX-only plan must be pre-paid in advance with a minimum starting balance of $100. Very Important Note: FLEX dollars are only available during the fall and spring semesters of each year. Any remaining FLEX dollars automatically carry over from the fall to the spring semester each academic year. However, any remaining FLEX dollars at the end of each spring semester are forfeited completely if not used. FLEX dollars must be spent within the academic year that they are posted and cannot be used to "pre-pay" for an event or services or be exchanged for any type of gift certificate. BU Bucks are prepaid value for campus dining service that is credited to Bloomsburg University faculty and staff accounts. BU Bucks are redeemed using the University-issued ID Card. Currently, any deposit into the Bonus Point program provides the depositor 10% more BU Bucks over the purchase price (offer subject to change without notice). BU Bucks can also be given as a gift card. BU Bucks are available year-round and carries forward from semester to semester. Husky Gold is a single declining balance, multipurpose fund used on Bloomsburg University's campus that facilitates cashless commerce transactions for users and merchants who participate in the program. Husky Gold is available to any Bloomsburg University community member who is provided an Active Directory account by the University's Office of Technology. Husky Gold is available year-round and carries forward from semester to semester. Husky Gold is accepted at all campus dining facilities. Personal conduct should not be offensive or obtrusive to others. Language and dress should be appropriate for dining in a public area. Vulgarities are not acceptable. Conversations should be kept within the table you are sitting at. Throwing of food is prohibited and subject to disciplinary action. Your student ID is your meal ticket. You must have your ID to use your meal plan. Allowing someone else to use your meal plan is prohibited and is subject to a $10 fine. Abuse or non-compliance with dining service personnel will not be tolerated and is subject to disciplinary action. All items, including food, must remain in the dining facility unless consumed or designated for "take-out." A single piece of fruit, ice cream cone or small hand carried dessert is permitted to be taken from the Scranton Commons. Upon entering the main level of the Scranton Commons, you will find menu boards located before the checker(s) indicating the entrees available during that meal period. The checker will "swipe" your ID (if on a meal plan), to provide you entrance into the dining room. Silverware is available and conveniently located on your way toward the various stations. You can then opt for any food item offered at any of the stations. The servers will only give one portion at a time to reduce food waste, which results in less costly meal plans. However, you are welcome to return as many times as you like. Once finished, dishes and silverware should be dropped off at the dishroom located near the exit. A Registered Dietician is available to any student wishing to discuss diets, calorie intake, or anything related to the dining service. Special dietary requirements are accommodated with a doctor's note by contacting a dining service manager. Sick trays are available for pick up by another student if accompanied with a notice from the Student Health Center or doctor. Go to www.bloomu.edu and click over the "Today" page for the daily menu items of interest	and a link to the BU Campus Dining web page http://bloomu.campusdish.com. The BU Food Service Committee meets approximately every three weeks to discuss upcoming events, specials, issues related to the campus dining program and sampling of new menu items and Premium meals. Members of the committee serve as representatives various student groups. They are educated on the dining service program and serve as information providers to their respective group. Refunds and/or reimbursement due to academic, work or athletic team conflicts are not permitted. If an academic conflict arises, a "Take Away" meal may be provided by the dining service upon prior coordination. Signing up for a meal plan can is done by going to MyHousing at http://housingweb.bloomu.edu. For On-campus students (residence hall, upper and Kile apartments) a meal plan may be selected as part of the housing agreement. Students living off-campus must first complete the Off-Campus Dining Only agreement in ApplyOnline and then select a Dining Plan in MyHousing. Bloomsburg University's meal plans are very cost effective compared with local and other State System of Higher Education Universities. We are very proud to have one of the least expensive meal plans, while maintaining one of the highest quality programs. You can use your meal plan at any other State System of Higher Education University that you visit that retains ARAMARK as their campus dining provider. Arrangements can be made through Bloomsburg's campus dining management. You can help keep the quality high and the costs low by not wasting food. Less waste today can result in added specials and menu items being offered. You pay for your meal plan, we manage it. We would like to manage your money back to you, help us help you. Where to eat? / What payments are accepted? Is the primary dining facility on campus that serves an average of 14,000 meals weekly. It is an "all-you-care to eat" facility that is similar to a food court, and offers a varied menu that repeats every five weeks. One "swipe" of a meal plan holder's card gains entrance to a wide array of food offerings. Breakfast is "made to order" daily. Several different entrees are offered during each lunch and dinner period. The "Commons" features a Mongolian Grill, Rotisserie oven, and flame broiled grill. Everyday in the Scranton Commons, soups, breads and ice creams are made fresh on the premises, and a more than sixty item salad bar is prepared. Made to order pasta dishes and a self-serve deli featuring Panini's, melts and create your own sandwiches are available as well as an extensive dessert display. Homemade cookies are made right in the dining room. At times you can choose a special food item that is offered for a small amount of FLEX, BU Bucks, Husky Gold or Premium Points. Beverages include a variety of carbonated and non-carbonated Pepsi products, four varieties of fruit juices and milk, coffee and tea. Located in the Kehr Union, the Husky Lounge offers a variety of grilled and deli items, along with comfort foods, snacks and smoothies. Students can use their meal plan in this facility during the hours of operation, which provides flexibility to accommodate busy schedules. Meal Exchange and Cash Equivalency are accepted in the Husky Lounge. Situated on the main level of the Student Services Center, Roongo's specializes in grab and go Panini's, wraps and signature soups. A combination of hot and cold food items are offered daily. Roongo's accepts cash, credit, FLEX and Husky Gold but does not accept meal swipes. Situated on the upper campus overlooking the Susquehanna River valley, Monty's specializes in serving students all types of food, from deli wraps to NY strip steaks. Patrons can choose from a variety of grilled items, comfort foods, and a full deli. Meal Exchange and Cash Equivalency are accepted in Monty's. Monty's also hosts Restaurant Night, a touch of "eating out" with the convenience of staying on campus. Located on the ground floor of the Student Services Center adjacent to the PSECU e-center and Commuter Lounge, it is the fastest way to get a cup of Java City℠ coffee. The name gives it away. 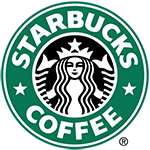 Located in the Scranton Commons and Andruss Library, Starbucks is a full service coffeehouse offering nationally recognized coffee, specialty drinks and food items. Located on the ground level of the Scranton Commons, Steak 'n Shake is "Famous for Steakburgers". True to its name, the menu features primarily steakburgers and hand-dipped milkshakes, though other entrees, side items, and drinks are also available. Located on the lower level of the Scranton Commons offers fresh-made subs and beverages. Opened in August 2017 and located on the ground floor of David L. Soltz Hall, Chick-fil-A is a fast food restaurant chain specializing in chicken sandwiches. Cash, FLEX, Husky Gold, Visa/MasterCard only. Opened in August 2017 and located on the ground floor of David L. Soltz Hall, QDOBA Mexican Eats is a chain of fast casual restaurants serving Mexican-style cuisine. Cash, FLEX, Husky Gold, Visa/MasterCard only. Why are the rules the way they are? Our contracted dining service is based upon a program that was defined by the University. Based on that program, the contractor responded to us with their method to accomplish it and how much it would cost. Part of the development of the program was to define points of service, hours of operation, meal plan rules, etcetera. The parameters by which these items were developed were to provide the highest quality program at the lowest price possible. There are two relevant phrases that come to mind "Time is money" and "There is no such thing as a free lunch." The more time that is provided (hours of operation), in conjunction with reducing parameters (relaxing usage rules), will result in less value that you will realized and will ultimately cost you more for the same program you have now. If the money you spend is paying for low value items (i.e. keeping facilities open when the business volume does not offset the direct and indirect costs associated with running it) than you will either pay more for items to offset the operational costs, or specialty items, and variety, will be reduced because the financial base is eroded. We built the program being very mindful of the amount of money you would have to pay for a meal plan. Additionally, the meal plan prices were submitted with a "Missed meal factor" built in. To be competitive, the dining service established their prices guessing that students will not consume all of the meals they are eligible to eat and accepts (financial) risk if a student does. This is the reason why we do not permit someone else to use your meal plan. Also, we built the program to provide flexibility to accommodate students' very busy schedules. It is not difficult to figure out the cost per meal if you figure out the number of meals you have available in a semester and divide that by the meal plan cost. You will quickly see the value of "Missed meals." Why can't FLEX dollars be rolled over beyond the fall to spring semesters? FLEX dollars are really not dollars at all. They are a flexible piece of your meal plan that happens to correspond to a cash value if you were a cash customer. The usage rules are very similar to how your tuition works. If you skip class, the University does not refund you the proportional cost of your seat for the skipped class in the classroom; you pay a lump sum for the class whether you attend or not. When you sign up for a meal plan you are provided a lump sum package with no refund or rollover terms. With a signed contract from you, the dining service contractor has the ability to staff, purchase food and plan to accommodate the needs and wants of the collective sum of meal plan holders. Only a fraction of the price that you pay is for actual food, a good portion of the price you pay is for costs not associated with actual food. Those costs include but are not limited to: labor, investment, renovations, equipment, utilities, insurance, administration, etcetera. Why do I have to have a meal plan if I live on lower campus? Residence Halls do not have sufficient accommodations for student to cook on their own. We seek to provide a balanced diet to best support good nutrition and academic pursuits. Can I change my meal plan/how? Yes, with conditions. Reductions may be made within the first week of the fall and spring semesters only. Increases may occur anytime. I have an individual complaint/observation about the dining service program; how do I address is? If you have an individual issue (food is cold, employee was not courteous, you notice students stealing, etcetera) ask for a manager. In all locations there is at least one manager on duty at all times to assist in issues and answer questions. An issue is best dealt with, by all parties, at the time it occurs. It is often difficult to make improvements or corrections days and/or weeks after the fact and almost never by keeping it to yourself or your friends. Why can't I use Cash Equivalency in Starbucks® or Roongo's? Those facilities were not designed for Cash Equivalency mostly due to their size. If Cash Equivalency were offered there the lines would be unmanageable and overall satisfaction in those facilities would decline. However, you are welcome to use FLEX, Husky Gold, cash or credit (VISA and Master Card only) for a change of pace.